The VonShef 13/078 is a premium fully automatic professional grade ice cream maker with a built-in compressor. Everyone loves ice cream, except for maybe those poor souls that have a food allergy preventing them from eating it. This ice cream maker isn’t, as my Dad would colloquially call it, “Mickey Mouse”. Meaning, it isn’t a piece of junk. From the stainless steel construction to the easy-to-use controls, there are many features and attributes that make this ice cream machine worth considering. 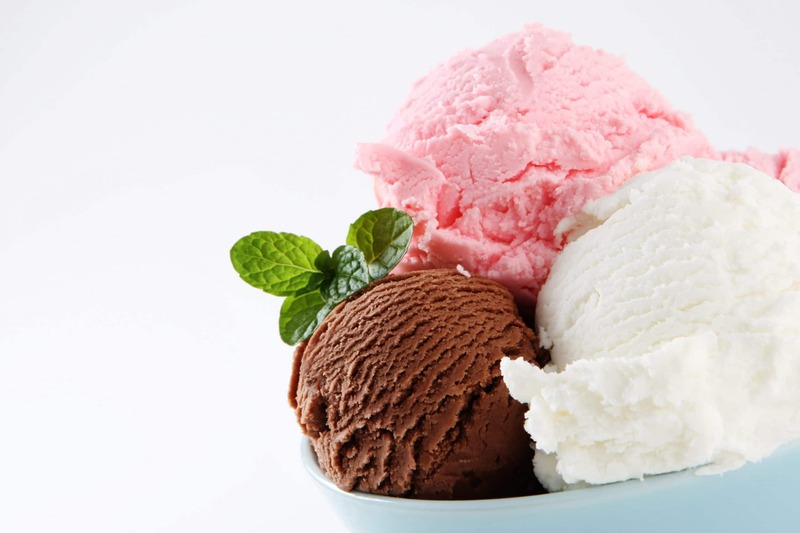 Read on below to find out if this ice cream maker is right for you. Your standard entry-level ice cream maker has a low price point. So its price certainly isn’t what keeps shoppers from pulling out their wallets. It’s more likely a lack of convenience and practicality that give customers pause. There is a lot of preparation required to use those cheap ice cream makers: You will need to freeze the ice cream bowl for 24-48 hours, chill ingredients for a few hours, wait for the ice cream to be done, and if the ice cream is too soft, you will need to place the bowl in the freezer. That’s pretty inconvenient. 3 different ice cream flavors. I mean, sure, it’s cool to make your own ice cream, but you don’t really need to. Ice cream is everywhere. You’re much more likely to stop at Dairy Queen than you are to plan in advance to make ice cream. Instead of going to the store and buying the ingredients to make your ice cream, you can choose from some great tasting, inexpensive, even high quality, ice cream options right in the freezer aisle of your local grocery store. And all it requires is that you open the freezer door. But it’s not just about convenience. Some people really want to have control over every ingredient that goes into their ice cream. The VonShef 13/078 ice cream maker is flexible, convenient and practical. You get to choose your own ingredients, and you don’t have to deal with the inconvenience and inconsistent results of the cheaper machines. The VonShef premium ice cream maker is costly. And most customers, like me, have to think about expensive purchases. As a habit, I always do at least some basic research before I purchase an item that cost more than $50. The VonShef premium ice cream maker is definitely a purchase that we would have to think about before we buy. I’d definitely take a feature rich, if expensive, ice cream maker over a cheaper but limited one. I’ve had my share of the cheap ones and they are all limited in some way. The VonShef 13/078 premium ice cream maker is a good looking machine. You usually can’t go wrong with black and stainless steel. It looks durable. It measures 12inches wide X 16inches tall X 12 deep, which isn’t too big, but it’s still a bit of a countertop space investment. The cabinets underneath the counter might be a better storage choice as it weighs over 20 pounds. The VonShef 13/078 premium ice cream maker is a professional level machine. The 150-watt motor (perfect for slow churning ice cream) operates at a quiet 50 decibels. Normal conversation takes place between 50 and 60 decibels. So, if you decide late at night that you want to make ice cream, sorbet, or frozen yogurt, you can do so without disturbing the peace. It’s a professional level machine. While the entry-level machines require pre-freezing of the ice cream bowl for up to 24 hours (some ice cream makers recommend 48 hours), the VonShef doesn’t. It has a compressor. That means that if you’re feeling a little spontaneous and you decide to make ice cream spur the moment, you can. In fact, in just 60 minutes, you can have fresh ice cream, with ingredients that you can pronounce on the first try. You can set the timer in increments of 10 minutes, up to 60 minutes. The lcd display will show you how much time you have left before your ice cream is done. VonShef 13/078 Ice Cream Maker: What Do The Customers Think? There are a lot of customers that seem to really love this machine overall. They discuss being satisfied with its ability, such as making dairy free ice cream for example. Not all customers were as thrilled. Some complaints included; outer edge of ice cream freezes before the middle and causes the mixing to stop, placement of motor prevents you from adding ingredients while in use. I think that the VonShef 13/078 ice cream maker is a high quality ice cream maker despite some customer concerns. Its compressor, quiet operation, and easy usability make it a practical alternative to store bought ice cream. For some potential customers, however, it is a bit expensive. If you are looking for quality ice cream maker and can afford it, then this might be a good option for you.